(DOWNLOADABLE PRODUCT) Reaffirmed 2005. 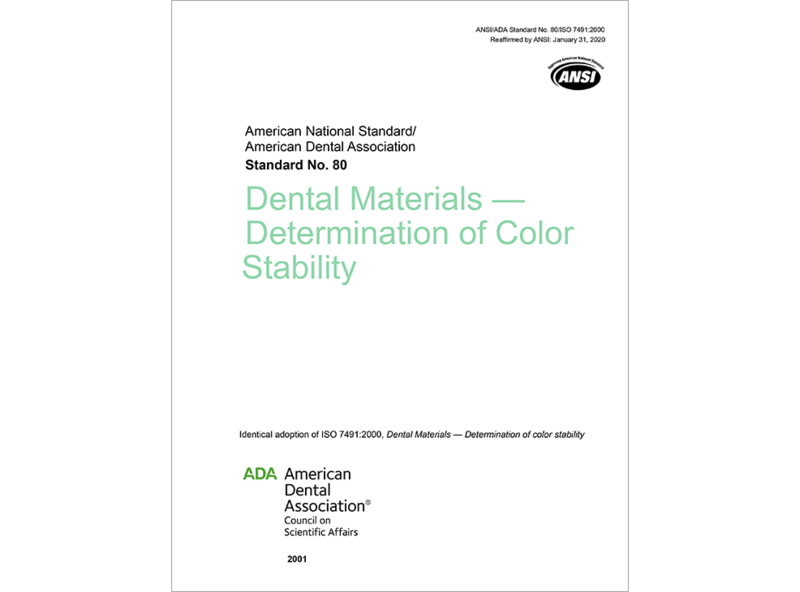 This standard specifies a procedure for determining the color stability of dental materials after exposure to light or water. This revision is an adoption of ISO 7491, Dental Materials - Determination of Color Stability with minor editorial changes. (Reaffirmed May 2013).